This statistic shows the results of a survey, conducted in 2013, among adult Americans on the frequency of having dinner at home as a family. 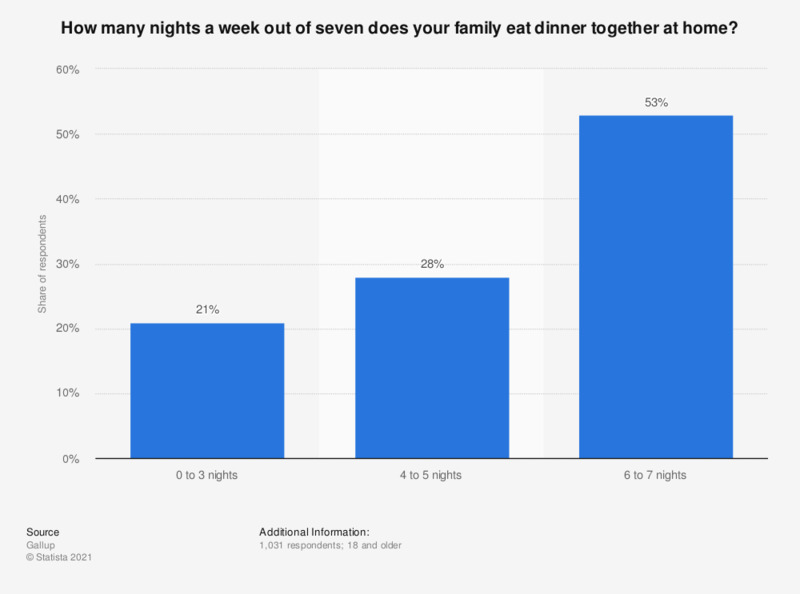 In December 2013, 53 percent of the respondents answered that their family eat dinner together at home on 6 to 7 nights a week. According to the source, "based on adults with children under 18 at home".